That's the recipe my mom and I use! 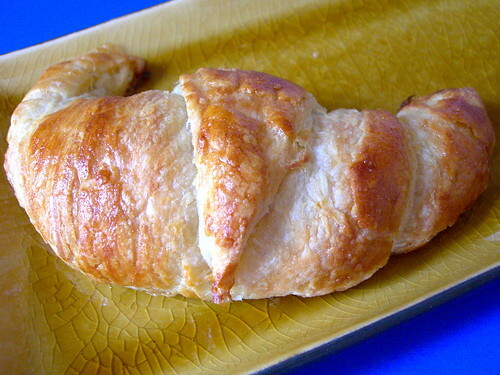 We've found that it's a great recipe, though the dough can be finicky depending on temperature. We usually make a double batch every year for Easter brunch. They start off well enough, but if the house cools down too much at night, we've had issues with the dough rising (we won't discuss the year my mom wasn't thinking and tried to let them rise in the garage...big mistake!). 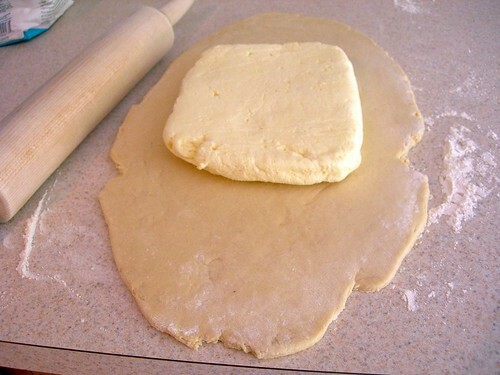 We've also had issues with the final step--usually we have the oven going with other things by that time, so if the kitchen gets too hot, we have issues with stretching the dough. Never tried making filled ones, they look heavenly! Oh also, while I agree that no commercial product can match homemade, the Williams Sonoma ones come closest. They're not bad and they freeze well. 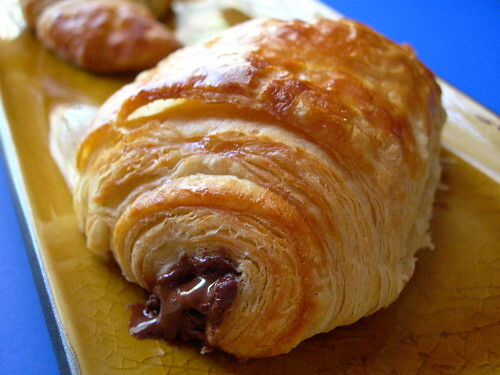 Wow, that pastry looks amazing, those delicate layers, so fat and crispy... I'm drolling all over my keyboard! This is a must try for me! Thanks for the recipe! Do I need to reserve an afternoon for this or are they a quicker recipe? @Lynnie - You might be able to do it all in one very long day, but with all the required chill and proof times, you need at least 14 hours. These look so delicious. You are incredibly talented. Jenny this really do look amazing! I'll take one of the chocolate ones please!